A wonderful gift idea with a personal touch for a special Godson. A perfect keepsake from the Godparents or parents after a Christening. The rustic, wooden frame is laser engraved in house for a stunning, professional finish. 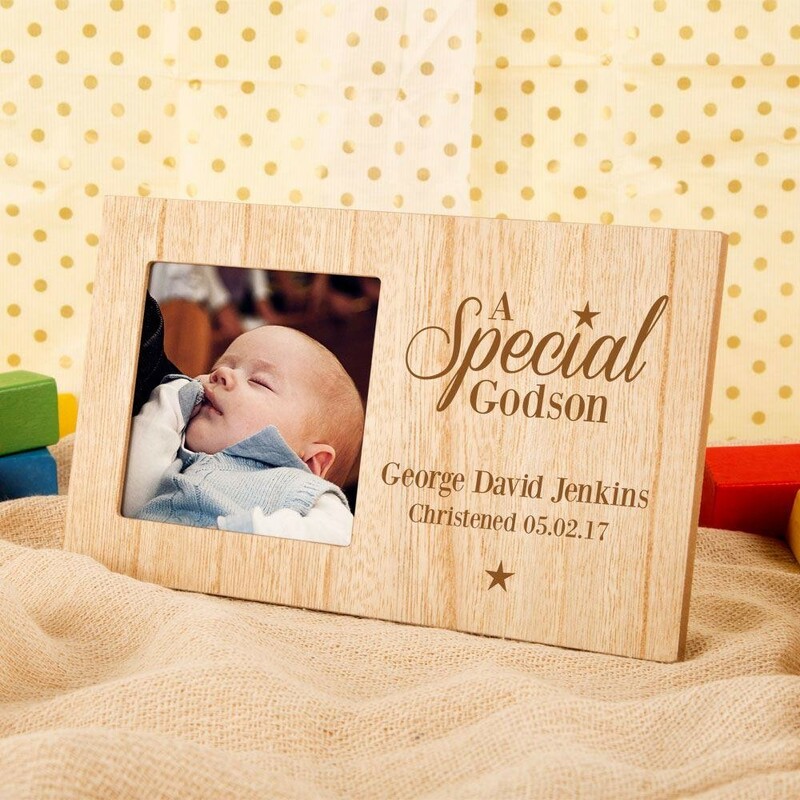 It features a simple typographic design which reads “A special Godson”, followed by the baby's full name, occasion and special date. It is made complete with a small star. We think it will really stand out in a child's nursery or bedroom, and will suit any décor. Our professionals work in house to carefully engrave onto the wood for unique results every time. The frame features a small square photo window - perfect for an Instagram snap of your little one! Dimensions: 25cm wide x 15cm tall. Photo Size: 10cm x 10cm.